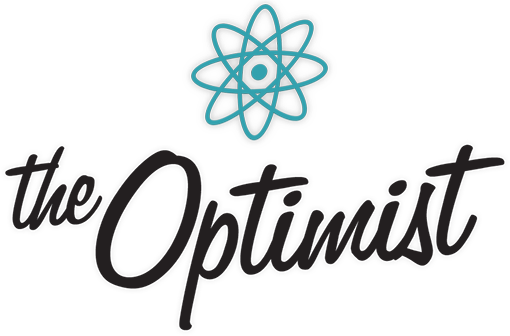 In the summer of 2013, Walt Disney Imagineering and Walt Disney Pictures teamed up to produce a six-week Alternate Reality Game (ARG) called The Optimist. ARGs are immersive, transmedia story experiences that span the digital and real worlds. While it was not made initially clear, The Optimist revealed itself to be a prelude to the Tomorrowland film, establishing its narrative world and concepts the film would explore in detail. Taking place nearly two years before the release of the film, it can be considered one of the most advanced examples of viral marketing. Over its six-week span, The Optimist took it's players around Los Angeles landmarks that had some significance to Walt Disney. In addition, the game allowed non-LA based players to participate online, and receive items in the mail. The Plus Ultra society was formed at the World's Fair in 1889. Eiffel met Jules Verne and Thomas Edison at his Tower apartment to start a secret society of optimists. Key members of Plus Ultra included Ray Bradbury, Amelia Earhart, Mark Twain, Nicholas Tesla, and other key scientific figures. Walt Disney was a member of Plus Ultra. The Tomorrowland '56 expansion at Disneyland was actually about training future society members for the journey to an alternate-universe that had been found (or developed) by Plus Ultra. The blueprints for the expansion held key technologies that enabled the journey, including Supra Transport. Key VIPs who were encouraged to join Plus Ultra were given a special VIP audio tour of World's Fair attractions - such as Ford's Magic Skyway, and It's a Small World. For those that couldn't attend the fair, a double-grooved LP was given with the details. It's a Small World at the 1964 World's Fair contained a portal to Tomorrowland. Hastin, are you sure it was the "Tomorrowland '56" expansion and not the "Tomorrowland '59" expansion? Cause, not a whole lot happened in 1956 Tomorrowland-wise, except for the Skyway and the Astro-Jets. In 1959, however, we got a real T-Land expansion with the Matterhorn, the Subs, the Monorail, and a new Autopia. Actually, I was thinking the Tomorrowland expansion of 1966-1967, which is when so many of the NY World's Fair attractions came to the park in California. I first went there that year or in '68. I think I got a lot of answers dug up on the plus ultra question on if they were creating a world behind everyone else's eyes and ears. Going to Disneyland soon to test my little theories on the 'it's a small world' ride. My name is Michael and I have Autism. I'm also an Optimist and a dreamer and so does my friends: Barrett, Ben, and Arielle. I would like to show Brad Bird my https://www.screenplaysandartbymichael.com/ to film a Tomorrowland sequel about my friends and I going to Disneyland, riding on "It's a Small World" ride to Tomorrowland. I wish I could go to Disneyland California. I'm not giving up.